Happy Chinese New Year! On January 28, 2017, the Year of the Rooster begins and Moncler celebrates it with a Special Edition jacket, one for men and one for women. These Special Edition jackets offer a modern interpretation of the on-going fascination with the Orient, contrasting a fire red colour palette with accenting gold highlights – true colors of the major festivity. 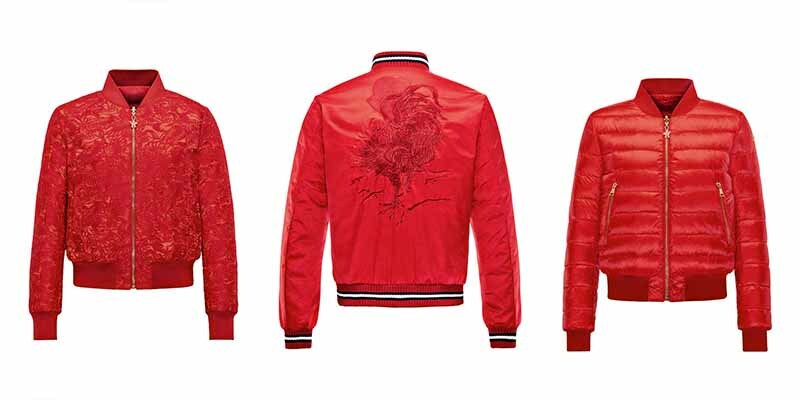 In tribute to the Year of the Rooster, Moncler has incorporated an emblem which features as well in the brand’s official logo, into the jacket design – an elegant all over Rooster brocade print for the women’s style and an embroidered Rooster motif on the back panel of the men’s design. Both jackets are reversible, with trademark Moncler quilting being the alternative offering, and each design is completed with statement gold hardware.